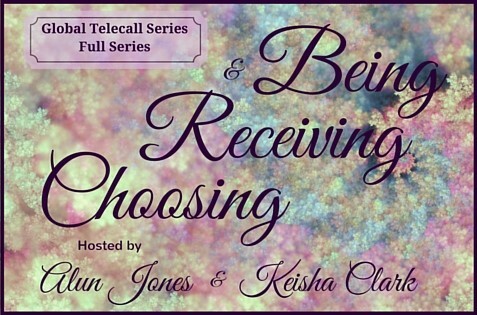 In these calls, Keisha and Alun explore and talk about Choosing, Receiving, And Being. What is Choosing? How much ease do you have with it? Does too much choice seem to overwhelm you so, that you prefer to have limited choices available? How right and wrong do you make yourself when it comes to past choices and what you’d actually like to choose? And how often do you try to choose in ways that you hope won’t annoy or upset others, so much so that you’d rather suffer yourself than do that? Would you like a different perspective and experience of choice and choosing? What about Receiving? How willing are you to receive without feeling obligated? Who are you willing to receive from and who are you unwilling to receive from? What about receiving you? Saaay whaaaat?! Yes indeed – how willing are you to receive all of YOU? Would you be willing to receive EVERYTHING – the good, the bad, the beautiful, and the ugly? Would you like to be more aware of where you’re cutting off receiving the very things that you’ve been desiring to choose and have in your life?